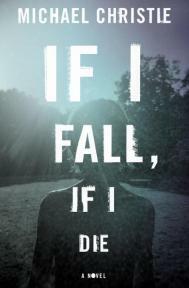 Michael Christie's first novel, If I Fall If I Die, is an exquisite portrayal of lives lived on the "Inside" by those suffering from confronting the dangers of the "Outside." Diane, the mom in the novel, suffers from extreme agoraphobia, and Michael knows of what he writes; his own boyhood was marred by similar suffering—his own mother also had agoraphobia, though not as extreme as Diane's. This story is so human at its core and Diane, Will, and all the characters in the novel are so well drawn. The setting of Thunder Bay, where Michael spent time as a youth, offers a setting where Will can flex his growing need for independence and freedom from his mother's extreme fears. This is a novel that has wide appeal: who among us has not at one time or another experienced the deep need for safety, for the "inside" when the world throws us a curve? Michael is a young writer who has an incredible sensitivity to what it means to be human and a way with words that reels us in and lets us experience these damaged souls with beauty, love, and hope. To call this book important would be an understatement. Klein has gone to all corners of the world to flesh out one of the most comprehensive, thoroughly-researched, and compelling books about climate change to date. If you're going to read any one book on the subject, make it this one. Klein not only lays out the full scale of this issue in clear, straightforward detail, but offers up equally clear reasons for hope. This is a Silent Spring for the twenty-first century. 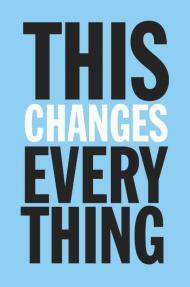 True to its title, this book changes everything, and not a moment too soon. Johanna Skibsrud’s new novel, Quartet for the End of Time, is very different in style from her previous one, the Giller Prize-nominated The Sentimentalists. 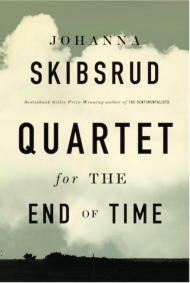 This novel is structured to reflect the famous "Quartet for the End of Time" composed by Olivier Messaien in a German concentration camp. The story begins with Alden and Sutton Kelly and their involvement in the Bonus Riots of 1932 in Washington. When Alden finds himself in trouble with the law, Sutton is convinced to perpetrate an injustice against one of protesting veterans—an action that will haunt both siblings through the following decades. I found the plot and content of the novel fascinating, being less familiar with the interwar period in the US, but I was less taken with the writing style. The complex sentence structure created uniformity among the various character voices and had me longing, at times, for a simple declarative sentence. This did not, however, detract from my interest in the plot and I found myself compelled to find out how this was all going to turn out. 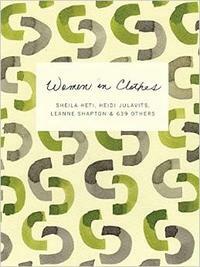 Have you ever wished for an intelligent, funny, critical, and visually arresting book on style? I have and here it is. Sheila Heti, Cindy Sherman, Kim Gordon, and more talk about clothes—and there's nothing superficial about it. This book is a worthwhile book that you need to read on an ongoing basis to keep up with the many wonderful characters and intertwined stories. It's beautifully written, at times very wise, and you sometimes just want to hug or scream at the characters. I love the time period, too. I had not realized the symbolism with astrology and the chapters but I had a customer point it out to me and it now makes more sense. I had another customer come in and she has read it twice within a year; reading it a second time gave her so much more insight and she still loved and appreciated the book. 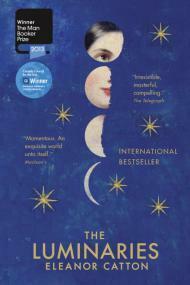 Eleanor Catton has done a marvelous job with all the connections she makes with the characters and story (at times you don’t know where she is going with it till she wraps it up at the end); how she kept them together was an amazing feat. Very glad I challenged myself and read it.